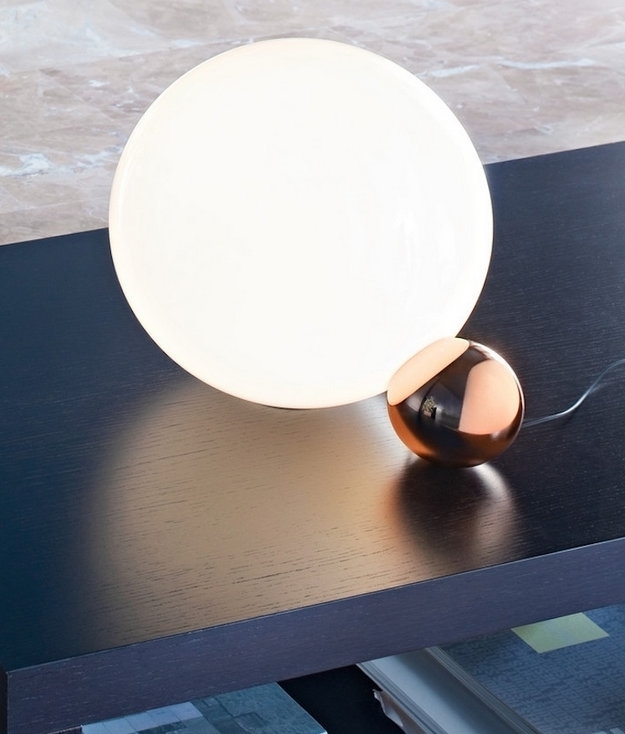 The Copycat table lamp by Flos, two balls each touching to create a beautiful designer table light. 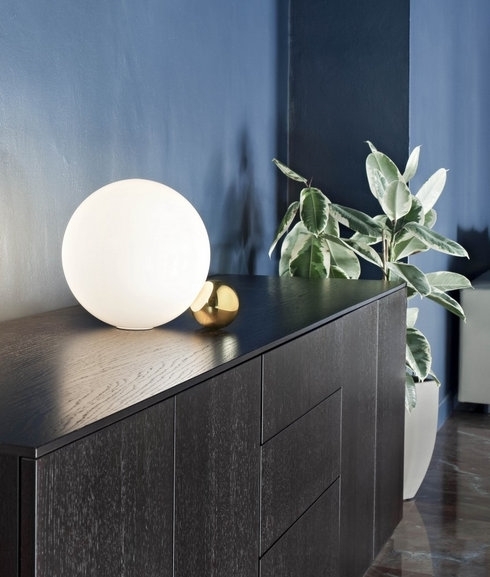 This charming, simple yet very sophisticated table lamp provides diffused light. The Copycat is made of two touching spheres that hold each other in a delicate and poetic balance. 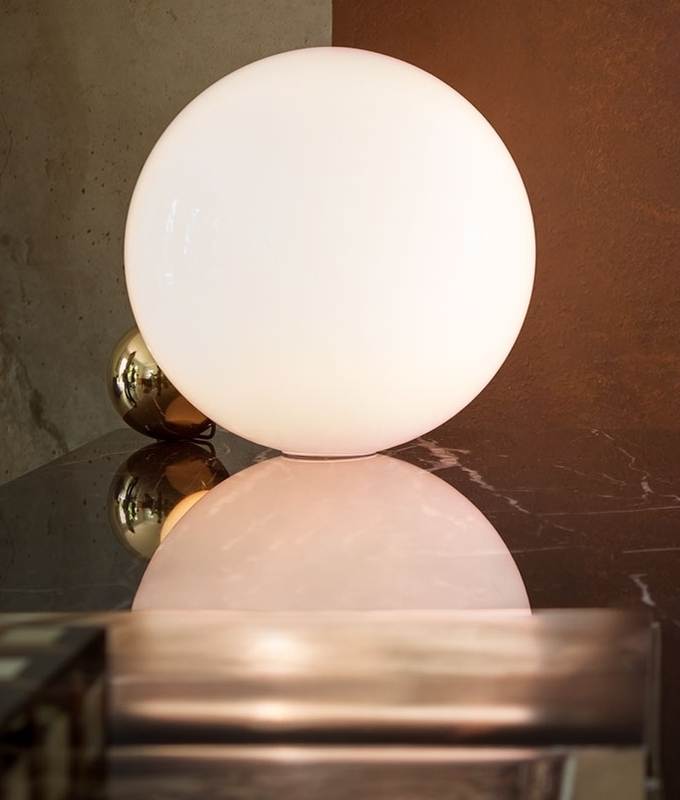 The smaller sphere hides an LED source that radiates the lighting beam inside the glass sphere and delivers a smooth and uniform light. 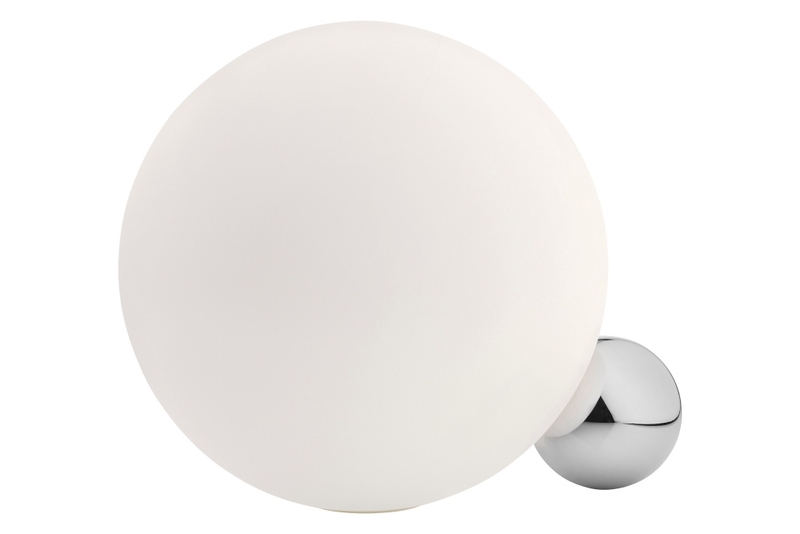 The large sphere measures 300mm in diameter and the smaller sphere measures 98mm. Materials: aluminium and blown glass. Available with copper, black nickel, 24k gold plated or polished aluminium attached baby sphere. Finishes: electroplating 24 karat gold, polished aluminium, black nickel and copper. Dimmer switch on power cable.